In Jenkins project, I use JIRA. 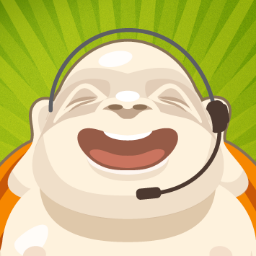 And for CloudBees customers, we use Zendesk. And I positively and passionately hate Zendesk. It’s quite painful for my usage, and even more disappointing as many of the things that make me suffer can be fixed so easily. So I decided to write this to make myself feel better. The way we use Zendesk, it’s really not that diffrent from the way Jenkins JIRA is used, which probably applies to just about any software projects. People report strange behaviours in software, stack traces, log files, etc. We look at those, sometimes ask for more information, ask them to try a new binary, get a new data, and repeat this process until it runs its course. I don’t think we are that unique. This kind of support work is a lot like a detective work. You look at various log files and stack traces, you connect dots, and you derive a certain hypothesis. Sometimes additional facts are discovered later, or a hypothesis is proven wrong, and you start digging in another direction. When I’m doing this, it’s very important that I “cite” my sources correctly. I’d like to be able to say “the stack trace in comment #7 indicates that X is doing Y when Z. This is consistent with ticket #150 comment #9.” But I can’t do this in Zendesk, because they do not have any sequence number nor ID for comments. So the best I can say is “comment made by John 11:59 on Apr 13th 2013 in ticket #150″, and if somebody (like me 6 months from now) wants to see the referenced comment, he has to manually find that comment. This is like writing a research paper without a bibliography section, or how a sloppy program managers refer to tickets (“what happened to that ticket — you know, the stability issue from Acme Corp a few weeks ago?”). This is particularly maddening because obviously they have an unique ID in their database, and I can even see it in the HTML source. It’s really only a minor additional work to make comments referencible. And yes, JIRA has permalinks for comments for long time. There’s a lot of useful features to be built in this direction — for example, I’d love to see log files visible online, in such a way that each line is separately addressible as URL, and allow agents to left comments, much like how you review code. In this way, I can leave the audit trail for my detective work so that others can retrace that later. Another thing that bugs me is the inability to edit comments that have already been posted. Zendesk supports markdown, which is good; it helps you organize information a lot more than just plain text. But some customers don’t know that, and file a ticket in plain text. Similarly, when the ticket comes from the e-mail gateway, often line wrapping and etc messes up the format. I can go on forever, but I should be working, not whining, so I’ll finish this up with just one more problem; inability to edit a closed ticket. Since CloudBees uses Zendesk for supporting paid customers, developers are expected to bring tickets to completion, to the “closed” state. I’m pretty sure we aren’t unique. The problem is that once a ticket is closed, one cannot make any further updates. Say another ticket was filed later by somebody else that is seemingly related? Can’t add a comment to link to it. If a detective work led to an old “unresolved” case and you came up with a new hypothesis that might explain a behaviour? Can’t put it there. Adding a new tag? Nope. My colleague Ben Walding made an observation that Zendesk probably has a different kind of audience in mind — ones where a relatively unsophisticated “level 1″ support people sitting in an office somewhere in Asia goes through 100s of tickets every hour as fast as possible. In other words, Comcast or AT&T kind of support. Prominence given to features like a templated response backs up this assumption. I can only assume Zendesk works well for those use cases. But if you are considering Zendesk and your use case is more like ours, the sophisticated software support, then I hope you learn from our mistake and stay away from Zendesk.